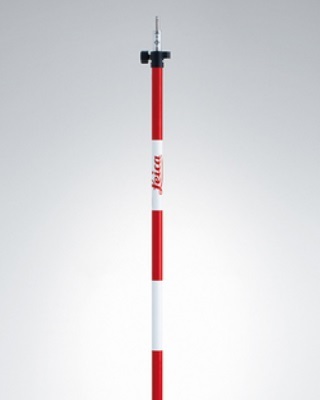 The Leica GLS111 heavy duty telescopic prism pole has a twist lock for secure tightening. Graduated in feet and cm, the minimum length is 4.6', extendable to 8.5'. Leica stub accepts snap-on Leica prisms.